Now that Fall is fast approaching, I start dreaming up fall recipes. One of my favorite fall ingredients is apple. 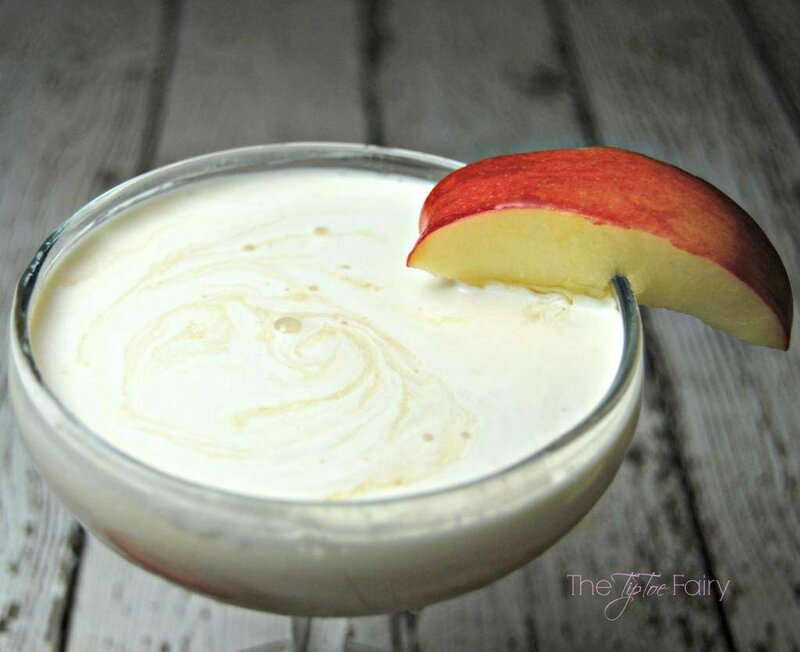 From apple pie to apple cider, I just love finding something new to make with apples or apple juice. You’re going to love this new cocktail I made for the Fall season — a Whipped Apple cocktail. One of my favorite drinks is hot apple cider topped with whipped cream. I discovered my love for it years ago as a kid in Starbucks, but now I like to make my own. It really tastes like you’re drinking apple pie! Apple juice has always been a favorite of mine. Even when I’m pregnant, it’s one of my cravings. It’s probably the only time in my life when you might find me standing with the fridge open and guzzling it straight from the jug! My favorite apple juice is the unfiltered freshly pressed kind. It has such an amazing rich flavor. One of my favorite brands is the unfiltered Simply Apple juice. You can find it in the refrigerator section of the store with the orange juices and grapefruit juices. 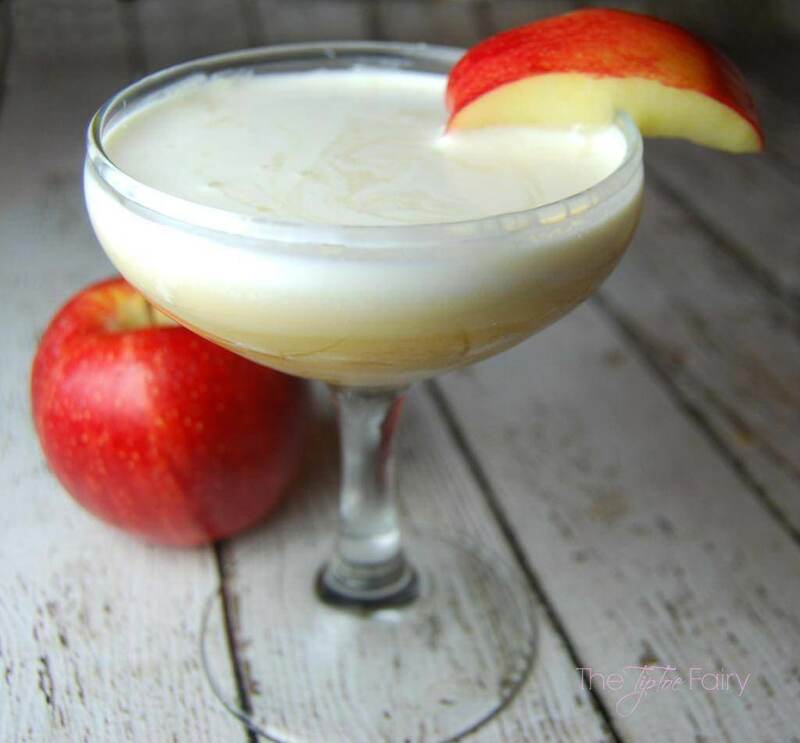 I created this delicious Whipped Apple Cocktail because of my love of whipped cream and pressed apple juice. It has just a bit of vodka to make it fun. I don’t like drinks that taste like alcohol, and this one definitely doesn’t. It’s so delicious! 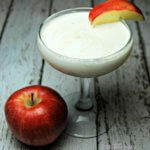 A Whipped Apple Cocktail is best served cold, but the vodka gives it just a bit of warmth as it goes down. When making this drink always add the whipping cream first. 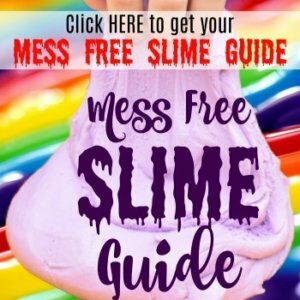 If you don’t, it will look like a nasty curdled mess. I’ve found if you add the whipped cream, then vodka, and then swirl in the juice, it comes out looking gorgeous! This would be a perfect drink to include in a Fall or Harvest themed party or even a Fall wedding. Nate and I married in November, and I wished we had something this delicious at our reception. 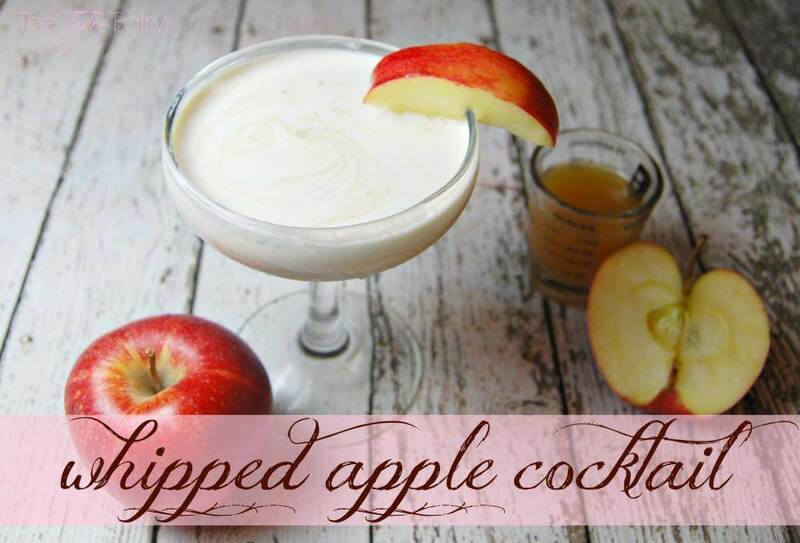 This whipped apple cocktail is the perfect fall drink. You can even make it a mocktail and leave out the vodka! If you add the whipped cream at the end, it will give it a curdled look. But, if you add it first, it ends up giving a beautiful swirly look to the drink. OH my goodness. This drink sounds absolutely divine… and I love that you’re pulling in the fall theme for it, too! I’m a huge fan of apple juice and cider, and I have no doubt I’d love one or two of these as the weather gets cooler! This looks amazing! Apple is my favorite flavor when it comes to almost everything. Angry Orchard cider is one of my favorite drinks, so I’ll have to give this a test when I’m wanting something sweeter! Thanks for the recipe! This looks and sounds so good. I love hot apple cider too! This looks delish! I craved apple cider when I was pregnant too!! The only thing was I was so worried because I am a worrier and heard you should not drink un-pasturized apple cider. I am totally going to make this for our halloween party this year! MMMMMMMMM! This looks like the PERFECT tasty fall drink! I can’t wait to have the fun fall drinks next year when I turn 21! Oh my word this looks awesome!!! I just happen to have some whipped cream vodka on hand…I see these being made in the near future.